ART OF SELF DEFENCE. 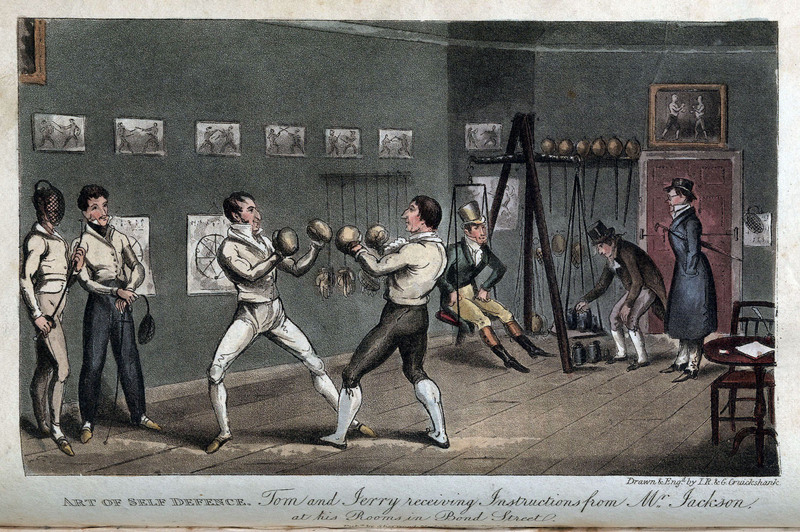 Tom and Jerry receiving Instructions from Mr. Jackson at his Rooms in Bond Street. ART OF SELF DEFENCE. Tom and Jerry receiving Instructions from Mr. Jackson at his Rooms in Bond Street. (References in Pierce Egan's Boxiana locate 'Gentleman' John Jackson's rooms at 13 Bond Street).